if i were to go out and purchase everything i envisioned for the new space...even as small as it is...it would have cost me loads of money and i know it wouldn't be exactly what i want. keeping myself and my wallet happy, i hired a friend to install some shelves and curtains. i couldn't be happier with the results. supplies were inexpensive and you may even be in a position to do the labor yourself. in my case, hiring someone who knew what they were doing made a lot of sense. 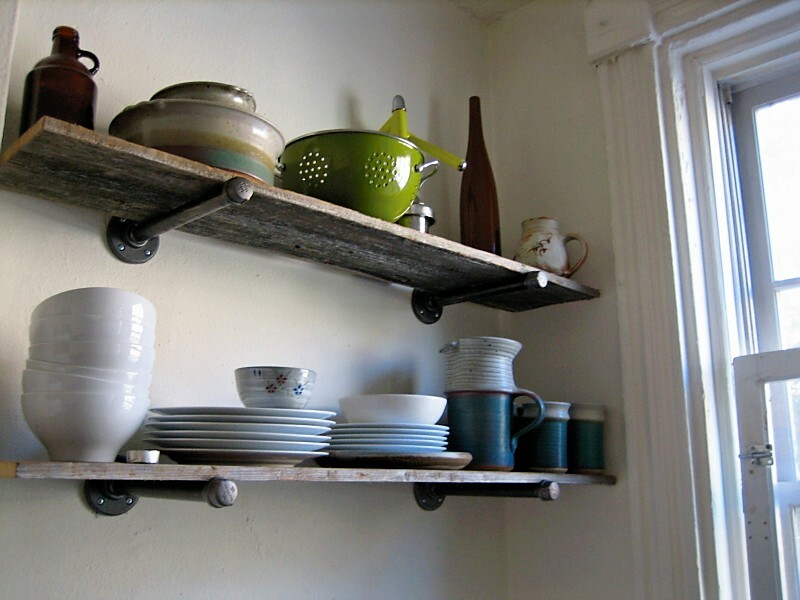 i'm a huge fan of reclaimed wood furniture and vintage items. i pulled some ideas from other blogs that i love and am completely happy with what brandon came up with. i mentioned L brackets for the wooden shelves. he came up with plumbing piping. i made room for food in my small kitchen cabinets by moving my pottery and dishes to the shelves above my table. it was important to me to build up the walls in my new space. 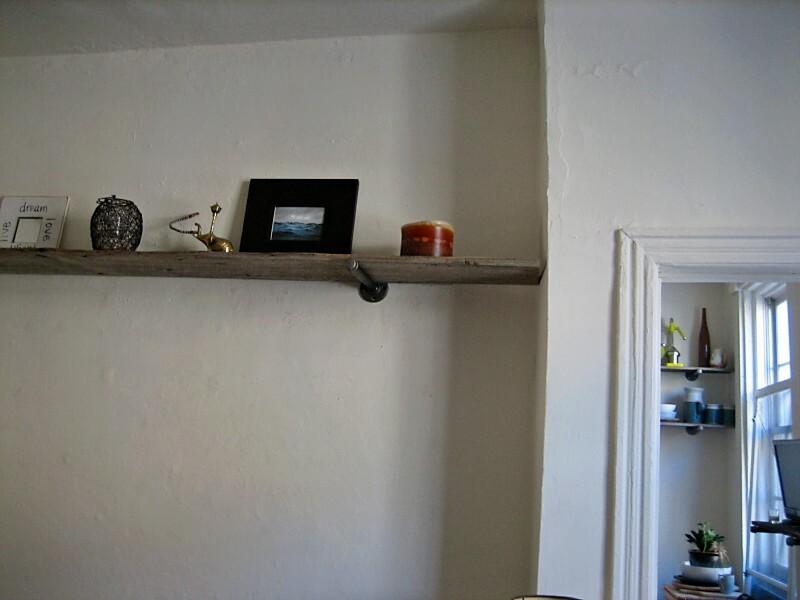 with high ceilings, i was able to add function to areas that were bare when i moved in. 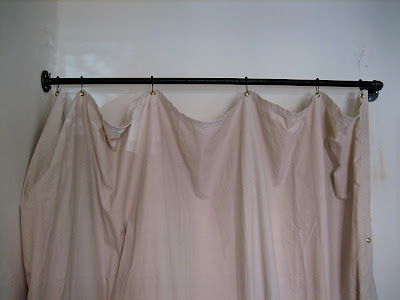 we took this idea a step further and used the piping for the curtains to cover my closet as well. 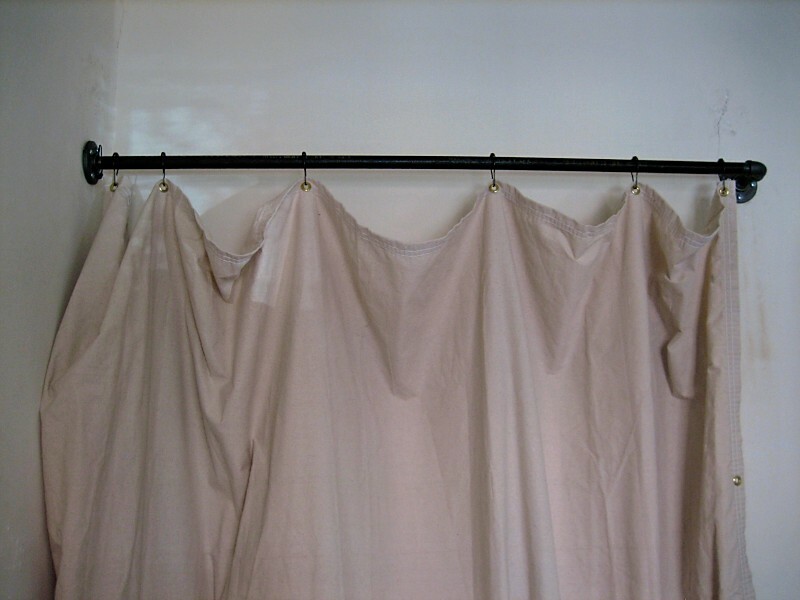 i purchased an inexpensive natural fiber tarp to use as the curtain and just trimmed the bottom edge so it just sweeps the floor. warning. you are about to want to lay down.